Woodentots Nursery was established in 1996. 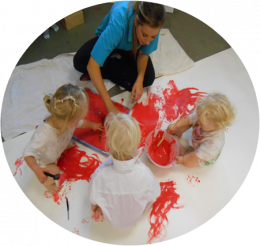 Our staff are highly qualified and experienced and aim to ensure that each child flourishes in a happy, secure and stimulating environment helping them to progress to their next stage of development confidently. If you are looking for a career in childcare and you are dedicated, hard working, caring and responsible we would love to hear from you. Take a look at our current vacancies below and complete the online form to provide us with your details.